You’re refurbishing your office IT equipment, and you need to arrange for the old technology to be removed for recycling. You call TechCollect and we provide you with two options: the first is a conventional pick-up through a courier, and the second is a socially conscious, feel-good environmental option – a pedal-powered pick-up via ecargo bike, transporting your e-waste without the nasty emissions. Which would you choose? This is the question we’re currently posing to businesses in the Melbourne CBD. We’re piloting an e-waste pick-up service for organisations with a small amount of e-waste (up to 100kg) who wish to reduce their environmental impact, and make a positive contribution to the community. It’s an opportunity to demonstrate that they are sending their e-waste to the right place, and going the extra mile to get it there ethically. Good Cycles are the pedalers behind the cause. The not-for-profit social enterprise provides training and employment opportunities for at-risk youth via a range of logistics and facilities maintenance services across the Melbourne CBD. 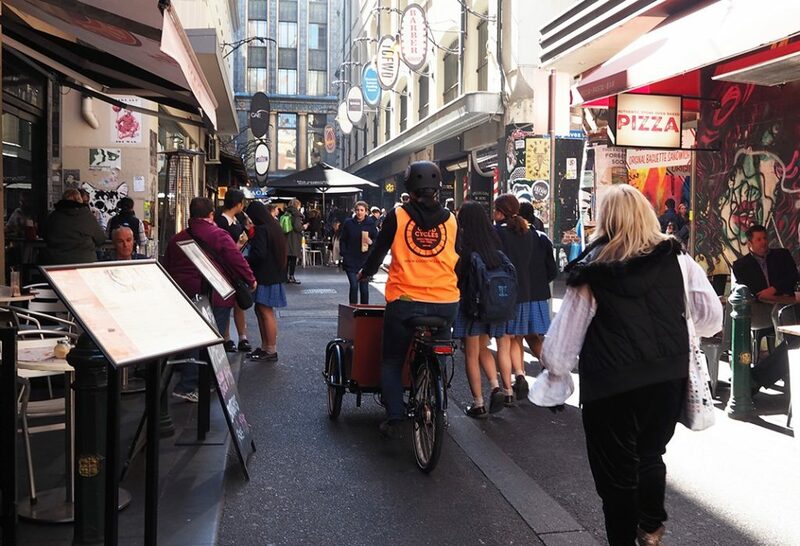 Facilities are serviced on cargo and electric bikes, giving them enough power and space to handle the equipment they need to carry, and the agility and flexibility to navigate Melbourne’s narrow laneways and gridlocked traffic. Of course, this unique service comes at a price. The pilot will help us to assess if this is a viable option for small pick-ups in major Australian cities. If you or anyone you partner with have offices in the Melbourne CBD or surrounds, please feel free to pass this on. We will soon begin offering this service, and hopefully very soon will have a good news story to tell.